Videogame set in the imaginary land of Kayamgadh wins grant from India Foundation for Arts for pushing boundaries of literary fiction and interactive games through a narrative. BENGALURU: The anthology by a fictional Mir Umar Hassan set in the nineteenth century about the search for a mythical city ‘Kayamgadh’ has been adapted into a video game — Somewhere — to be presented in the city. The story that is set in British colonial India traces the lives of several people as they search for pages of a fabled journal, which charts a route to the mythical city. “The discovery of Kayamgadh is attributed to the Magistrate Charles Henry Connington,” informs game designer Dhruv Jani. The project received grant of Rs 3,08,000 from India Foundation for the Arts (IFA), under the Arts Practice programme, with support from Technicolor India. Dhruv and Sushant Chakraborty wrote the original anthology attribiuted to the fictional Mir. Connington, having become separated from his caravan after the siege of Matsyapur, stumbled onto this fabled city in the year 1812. “Upon his return, an account of his travels to Kayamgadh were published, each copy accompanied by intricate sophistry and peculiar theocentric writing,” says Dhruv. 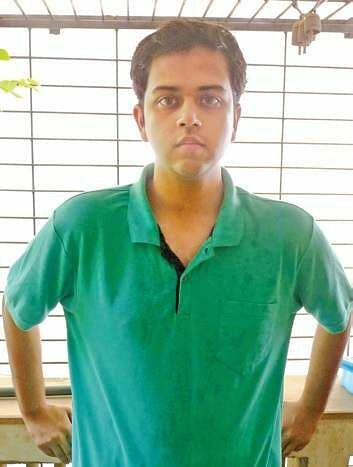 Connington’s blasphemous writings and a passionate avowal of the book by a group of influential Dubhashi, led the company to purge all copies of the published text, leaving only individual pages from the original document, adds the 27-year-old game developer. Amidst this history, the game limits its narrative to the story of Mir Umar Hassan’s discovery of this lore and the various characters loosely illustrated in his anthology. “Each of whom is somehow embroiled in the search for a complete copy of Connington’s travelogue, and ultimately the fabled city of Kayamgadh,” says Dhruv. Dhruv is the author at and co-founder of a two person independent game studio called Oleomingus, where he crafts, teaches and writes about games, architecture and literature. “Over the past few years of studying game systems, we have begun to proliferate our practice to address architectural, pedagogic and literary concerns, that can be simulated, archived or computed using game methods,” says Dhruv. He will be presenting ‘Somewhere’ during the event Afterthoughts of the Novel at The Park on August 31, 7.30pm. Not only does Oleomingus work as an open collaborative, inviting people to contribute to our creations and in turn use code that they create, they also release most of their work without cost to a “small but enthusiastic audience,” informs Dhruv. “Our game environments are split into ludic spaces and literary spaces,” he says. Spaces that act as theater to a player’s enactments and spaces that change as you move through them, he adds. “Somewhere” is not a radical shift in literary method. It does not alter either the method of interactive storytelling or centuries of literary tradition, says Dhruv. “What it does do though, is it adds , incrementally to our understanding of how a traditional literary method responds to being told within an interactive space - and tries to delineate what stories are best suited to being told within game spaces,” he adds. The team has also begun working on a short interactive story, played entirely using maps and set in 1963 in Jogeshwari, Bombay. 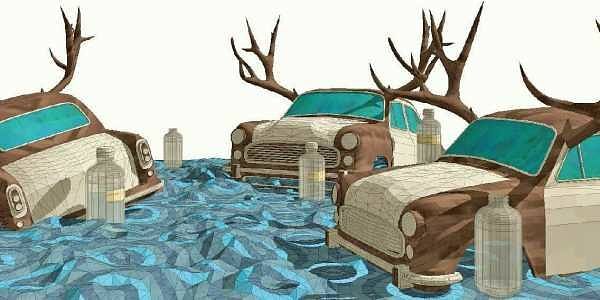 “You play as an insurance claims investigator who gets embroiled in an absurdist mystery surrounding a bridge collapse, and sand mining barons and three cosmonauts - all of it narrated by our omnipresent and fictional author : Mir Umar Hassan,” says Dhruv.